JRPG Jungle: Chaos;Head Dual coming to PS Vita! From 5pb. (the creators of Steins;Gate), Chaos;Head Dual will be coming to PS Vita on one cartridge. This will feature the original visual novel Chaos;Head Noah and also Chaos;Head Love Chu Chu. The bundle is due out in Japan August 21st, with a standard and limited edition at HMV. 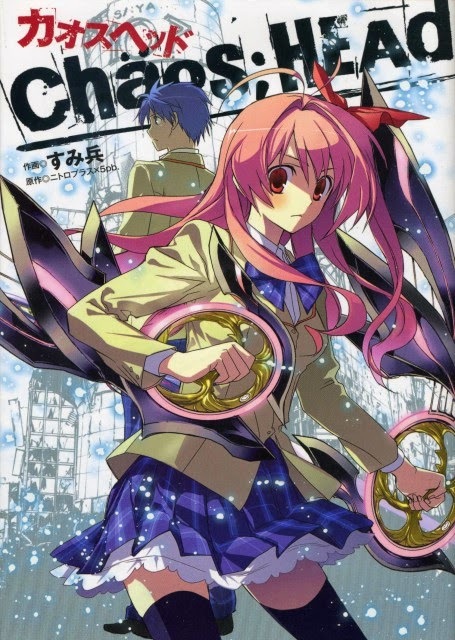 Chaos;Head is a story that revolves around an otaku who accidentally stumbles upon evidence for murders that are happening in his town - and that's barely touching the surface. Expect delusions and lots of mystery if the anime is anything to go by! Note: No English released announced so far. Don't have a PS Vita or you're impatient? You can find Chaos;Head Noah and Chaos;Head Love Chu Chu at Play-Asia.com. Both games are in Japanese.